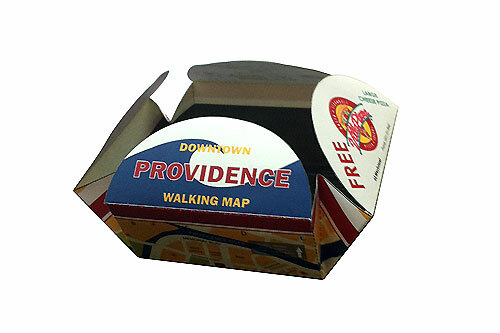 The goal was to create a map showing the locations of the most popular fast food locations in downtown Providence, RI. 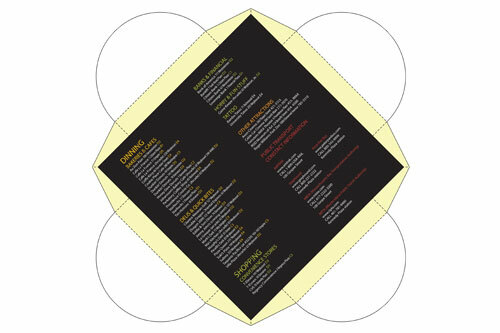 The product was designed to appeal to buyers by turning a simple map into packaging for candy. 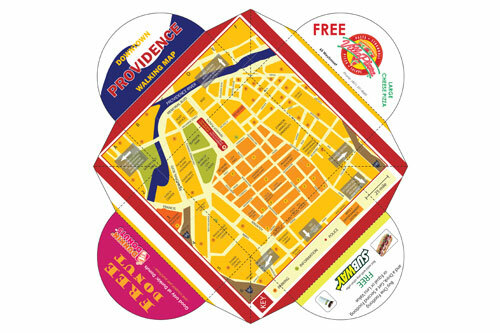 This map apart from having the list and locations of the most popular places, comes with detachable coupons to use in some of the featured dinning locations.